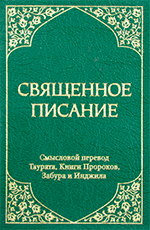 Today, there are many translations of the Scriptures into Russian. The whole Bible was not always translated. More often only New Testament, Torah, Old Testament or only some books were translated. Only the most significant translations are presented here. The very idea of ​​translating to understandable was based on the emperor born Alexander I. 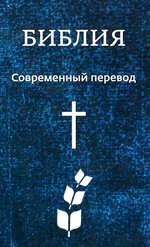 The Russian Bible Society was created to translate the Bible into a language that is understandable to the people. But after the death of Alexander I, the work was officially stopped. Nevertheless, unofficially the work continued. Since most of the work was done and part of the Bible was already being published, it was allowed to complete the translation. Officially, the translation was defined as for home reading, but not for worship. After the opportunity appeared to complete the translation, the work was carried out hastily. 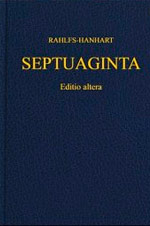 2012 - Updated synodal translation. All translators tried to carefully clean, preserve the spirit and style of translation, which became the standard for Russia. I compared it to the synodal translation. This is even a bit more accurate. But for this, do not start this version. Translation from English into Russian - Andrey Dolbin. Translation from English translation for Jews. The fact is that the events described in the New Testament occurred in Israel and with the Jews. All names have been translated into Greek, and then from Greek to Russian. In this edition, all names and concepts are Jewish. It is very interesting to read. If you are a Jew and live in Israel, then this translation will be clearer. This translation appeared unexpectedly and is promoted, much like the English translation of the NIV (New International Version). Suffice it to say that in a short time the entire Bible was translated, which is rarely enough, usually limited to the New Testament. There is also an audio version of this translation. And very high quality, in roles with musical accompaniment. 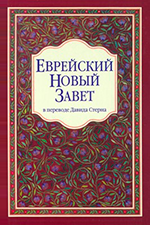 The Eastern Translation was launched in response to the need for a translation of the Holy Scriptures for Central Asian and other peoples of the former Soviet Union, which are read more in Russian and belong to ethnic groups traditionally considered Islamic. With the translation of the word God, as Allah. Where Tajik variants are used for, approximately, 40 names, for example, Iso, Muso and Ibrohim, instead of Isa, Musa and Ibrahim. This version can be popular among Uzbeks as well. 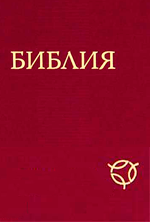 This translation is from the Easy-to-Read Version series (easy-to-read translations). 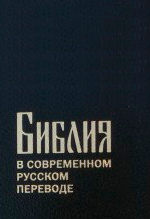 The text uses only the words of the Russian language used in everyday life. The 1st edition was very raw and not very well Published - World Bible Translation CenterBut here's a new edition of very high quality. 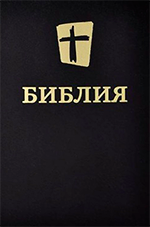 This edition will be especially useful for thosePeople who have difficulty understanding or reading the BibleRussian, as well as children and those for whom Russian is not the main languageThe language of everyday communication. The writers of Scripture, especially the writers of the New Testament,Language, showed us that they were guided by the desire to effectively transmit biblical ideas to their listeners and readers. Exactly because of this reasonThe translators of this publication adhered to the same principles. They workedAbove, to express the meaning of the biblical text in a style that would be simple and natural. 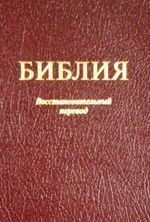 In my opinion, the best translation of the Bible in modern Russian. Initially, the translation of the 'Word of Life' was taken as the basis of the New Testament. The first edition was not very successful, as it often happens. 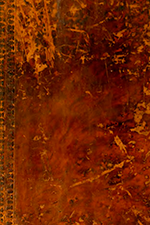 The 2nd edition is highly reworked and very successful. In preparing the 'New Russian translation', the best available texts in the Hebrew, Aramaic and Greek languages ​​were used. During the editing process, many of the Old Testament quotations and references included in the New Testament were taken into account, as well as the stylistic originality of the Old Testament. The main focus of the translation and editing was on the transmission of the correct meaning of each passage. When translating the Old Testament, the standard Hebrew and Aramaic text (Masoretic text) was used, as it was published in the latest edition of Biblia Hebraica. Scrolls of the Dead Sea (Qumran manuscripts) contain an early version of the Hebrew Old Testament text. They went through the reconciliation process the same way as the Pentateuch Samaritan and other manuscripts belonging to the ancient manuscript tradition. Sometimes, when translating, the preference was given to the variant given in the comments to the Masoretic text, and not to the original text. Such cases did not go beyond the Masoretic tradition of working with the text and therefore were not marked with footnotes. 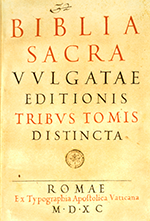 Translators turned to the most influential early biblical sources: the Septuagint; Acquile, Symmachus and Theodosius; The Vulgate; Syrian Peshitta; The Targums; To the Psalms of Juxta Hebraica Jerome, when the meaning of the Masoretic text remained incomprehensible. In such cases, the text is provided with footnotes. This is the translation of the Seventh-day Adventist Church. This is a completely new translation of the Bible from the original languages. Great and serious work was carried out for 15 yearsFor a long time there was a need, and after perestroika there was an opportunity. Work was slow, but qualitatively. Also, how qualitatively it was performed by the same Russian Biblical Society and the first translation was the synodal 1876 year. A large team made translations of different books. New Testament is known as the 'Good News. New Translation from Greek by VN Kuznetsova' and was published separately. Only words that we now use in everyday speech are used. In the second edition, the text has been substantially revised taking into account the comments of specialists and readers. The commentaries to the books of the Old Testament are significantly expanded. True, not everyone agreed that two incompatible, according to some experts, translation of the Old Testament and the New Testament are connected. 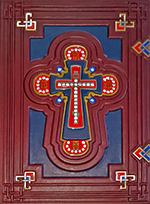 New Testament is written in the modern sounding of the Russian language 'how it could sound today', Old Testament - the continuity of traditions, not so much the traditions of the synodal translation as the traditions of translating the Middle Eastern texts of antiquity. In Russia, different books of the Bible were kept in different monostyrs, but nowhere were they collected together. 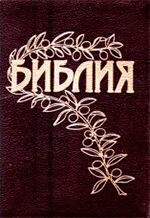 The Ostroh Bible is not a new translation, but simply all the books of the Bible in the Slavic language are first collected together. Unfortunately, the language was already outdated by that time. The work itself was started at the direction of Peter I. And it was quite successful in resisting the Orthodox Church and under the pressure of Peter I. After the death of Peter I, the works were stopped. Under Catherine II, the work was continued, but this time the Orthodox Church did not interfere with making a translation acceptable to its teachings. To this day the translation remains the main one for the ministry of the Orthodox Church. The first translation of the Bible, or rather the Old Testament, which was in use during the time of Jesus. This is the first and fastest translation. The purpose of use for worship was not, because the translation was fairly free. Added lines, chapters, books. The fact is that after the transfer to Babylon, most of the Jews did not return to Israel. Israel was in decline and only patriots returned. So a large diaspora was formed and not all owned Hebrew, or did not own it at the proper level. Because it was decided to make the translation of the Bible into an international language at that time - Greek. Translation of the Bible into Latin. These 2 translations (Septuagint and Vulgate) for a long time remained the only permissible for worship. RST - Синодальная Библия: Ибо так возлюбил Бог мир, что отдал Сына Своего Единородного, дабы всякий верующий в Него, не погиб, но имел жизнь вечную. ВоП - Библия. Восстановительный перевод: Ибо Бог так возлюбил мир, что отдал Своего единородного Сына, чтобы всякий, кто верит в Него, не погиб, а имел вечную жизнь. 17 Ибо Бог послал Сына в мир не для того, чтобы осудить мир, а для того, чтобы мир был спасён через Него. ЕНЗ - Еврейский Новый Завет: Потому что Бог так сильно возлюбил мир, что отдал Своего единственного и неповторимого Сына, чтобы всякий, верящий в него, не погиб, но приобрёл вечную жизнь. CARS - Русский перевод Священного Писания для Востока: Ведь Всевышний так полюбил этот мир, что отдал Своего единственного Сына, чтобы каждый верующий в Него не погиб, но имел вечную жизнь. 17 Всевышний послал Сына в мир не затем, чтобы осудить мир, но чтобы спасти мир через Него. РСП™ - Святая Библия: Современный перевод™: Потому что Бог так возлюбил мир, что отдал Своего единственного Сына ради того, чтобы каждый, кто поверит в Него, не погиб, но имел вечную жизнь. 17 Не для того послал Бог Сына в мир, чтобы осудить мир, а для того, чтобы спасти мир через Него. НРП - Святая Библия, Новый Русский Перевод © / Слово Жизни: Ведь Бог так полюбил этот мир, что отдал Своего единственного Сына, чтобы каждый верующий в Него не погиб, но имел вечную жизнь. 17 Бог послал Сына в мир не затем, чтобы осудить мир, но чтобы спасти мир через Него. BTI - Библия в современном русском переводе: Бог ведь так полюбил этот мир, что пожертвовал Сыном Своим единственным, чтобы всякий, кто верит в Него, не погиб, но обрел жизнь вечную. 17 Не для того Бог послал Сына в мир, чтобы Он судил его, но чтобы спасен был мир через Него. РБО - Библия в современном русском переводе: Ведь Бог так полюбил мир, что отдал Своего единственного Сына, чтобы тот, кто верит в Него, не погиб, но обрел вечную жизнь. 17 Ведь Бог послал Сына в мир не для того, чтобы Он мир осудил, но для того, чтобы мир через Него был спасен. - Елизаветинская Библия: Тако бо возлюби Бог мир, яко и Сына своего единороднаго дал есть, да всяк веруяй в онь не погибнет, но имать живот вечный. 17 Не посла бо Бог Сына Своего в мир, да судит мирови, но да спасется Им мир.